(2) login to any of your other accounts. The process is not hard, but requires clicking through several screens to get to the end result. Open Gmail in your browser. Click the icon at the top right to select your account. After the account information window opens, click Add account at the bottom. This window allows you to switch to another existing account or to create a new account. If you have more than one account they will be listed like in this example. Since you want to create a new account, continue by clicking the Add account button at the bottom. Do not click on any of the existing accounts. When you get the Sign in window, click the Create account button at the bottom to continue the process. Don’t enter your existing email address or click the Next button. You have finally reached the window that allows you to create the new account. After you have entered all the information and answered all the questions you must click Next at the bottom to finish the process. 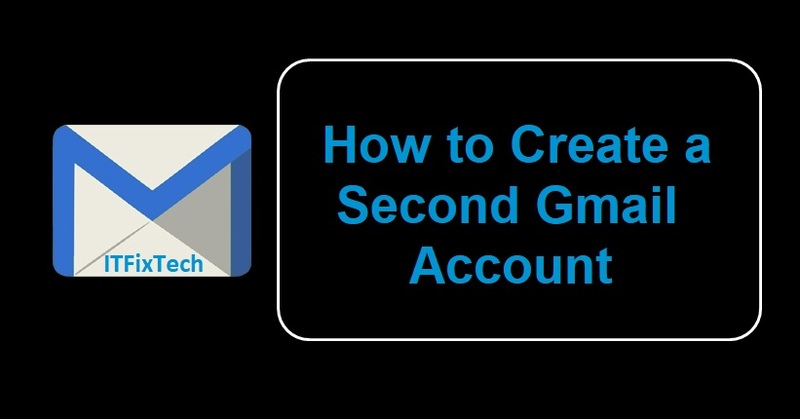 You can have as many Gmail accounts as you want, but you must either forward the mail to a single account, or remember to check the new account frequently. This will be described in a separate tip. You can also configure the email client on your computer to check all your Gmail accounts. This way you won’t miss any incoming mail. If you have any questions call us on 1888-588-7141/ 1855-925-7088. Open your Settings app. Search for the Accounts option. Tap Add account and click + in the top right corner. Now, in case if you already have a Gmail account then tap Existing. Login to your Gmail account on Android using your Login details. In case if you want to create a new Gmail account then tap on New. Enter your Birthdate. You need to be at least 13 years old in order to use a Google account. Then enter select your Gender and continue to the next step. Then choose a unique username for your Gmail account (Google account). Then set up a password with at least 8 characters for your Google account. Enter your Mobile Number and an alternate Email (Optional). Setup Recovery options for your Google account. Verify your account via text or voice call, select the option that you want and click on Continue. Your Google account will be created and Gmail Welcome Page will appear in the Gmail app. Google offers amazing services for its users all around the World. You need to have a Google account in order to take the advantage of the Google services.